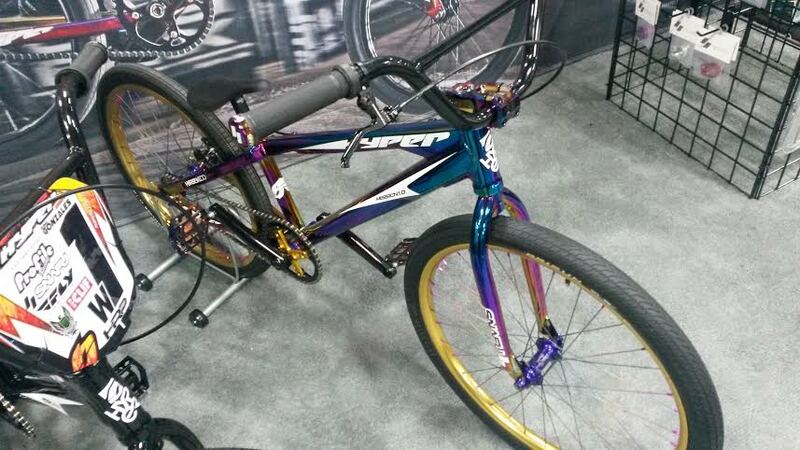 While not as big a showing as previous years, Interbike did have its share of BMX race cruisers on display this year. Probably the most eye-catching was the Free Agent Limo. 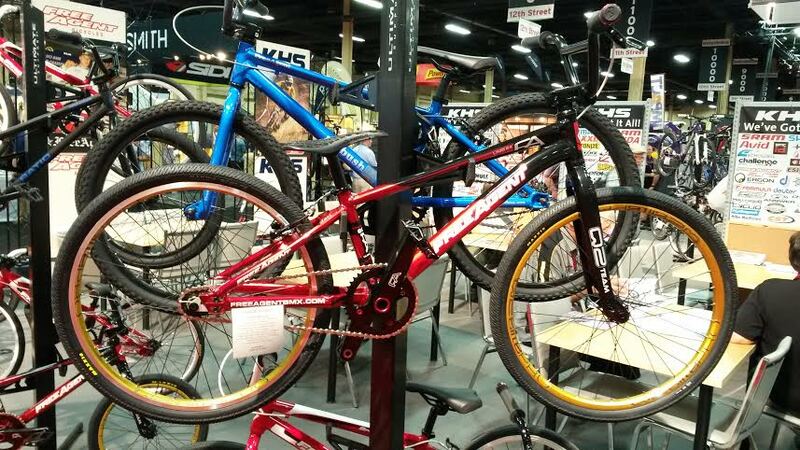 Featuring a bright colorway (compared to more recent years) and a new fork (I think) this is FA’s flagship race cruiser and it looks every bit the part. 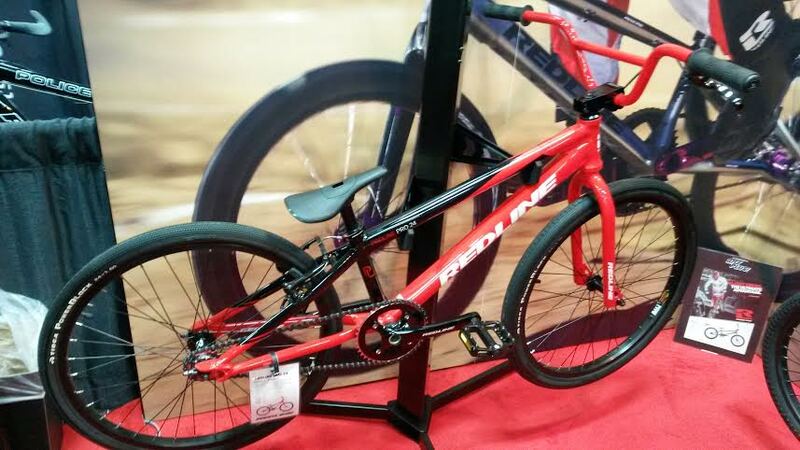 Over at Redline, the workhouse of the race lineup, the Redline Proline 24 was on display. Solid, bang-for-your-buck race machinery right there. At Hyper, it looks like the oil-slick colorway lives on (I kinda think it might be past its due date tho) with a 24″ kitted out with Snafu components. 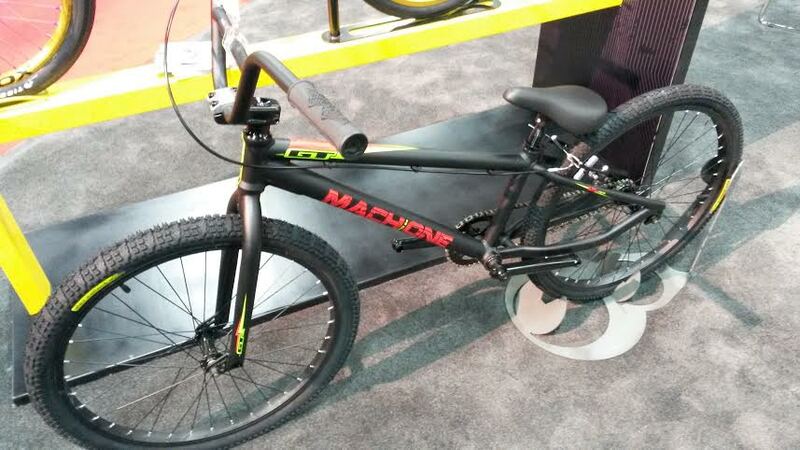 At GT, the entry-level 24″ Mach One was on display. I was kinda hoping to see the Speed Series Pro 24 in the booth…but alas, they only had the 20″ version. 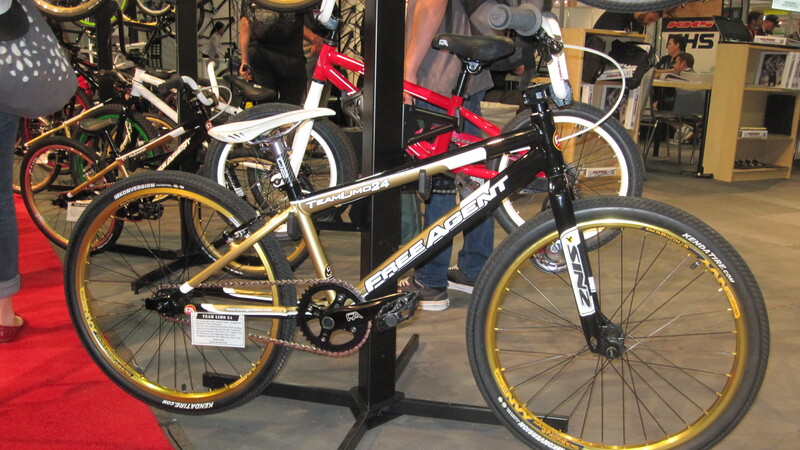 I do dig that copper on white colorway on the Speed Series Pro 24. What the heck are those tyres on the GT? ?